Forest Kingdom II from Best Service brings the sounds of forests, jungles, and other elemental forces to an 11GB sampled sound library, available for download. It's well suited for composers and sound designers who create ambiences for films, documentaries, video games, apposite music genres (new age / world), and any other applicable situation. Created by Eduardo Tarilonte, the library includes 300 patches, 430 unique MIDI files, and 12,665 individual samples of flutes, harps, percussion, fantasy creatures, voices, and sonic landscapes. Many instruments deliver true legato, portamento, round robins, and multiple ornaments, all playable in real time. 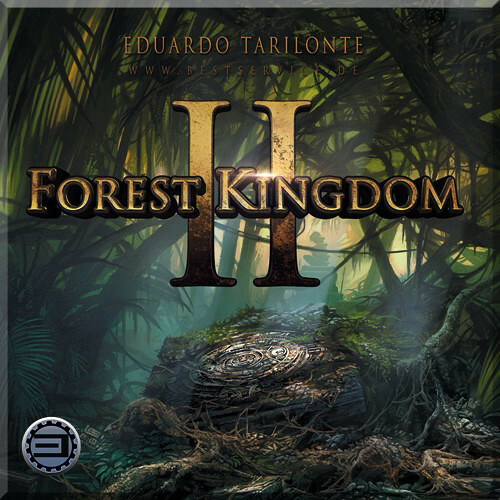 Besides the additional instruments, patches, MIDI grooves, and soundscapes, Forest Kingdom II also includes the original complete Forest Kingdom library with features like true legato, improved instrument loading times and RAM usage, and the original patches revised and updated to match the new ones. Forest Kingdom II - Virtual Instrument (Download) is rated 5.0 out of 5 by 1. Rated 5 out of 5 by Pearle from Beautiful Absolutely adore this!